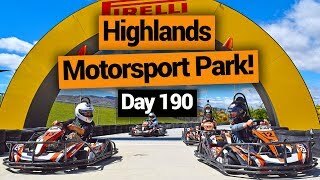 Where to stay in Cromwell on a budget? In the heart of Central Otago, most travellers at least pass through Cromwell. However, with some of the best bike trails nearby, jet boat and gold mining tours, vineyard experiences and hikes, there are plenty of reasons to stay a while in Cromwell. 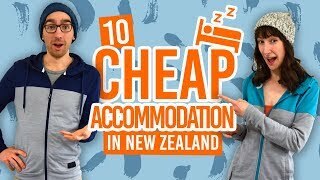 With that in mind, here are some backpackers hostels in Cromwell worth considering! 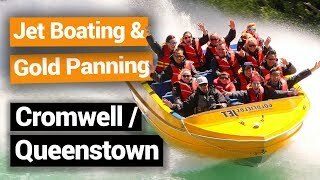 Not only is Cromwell packed with plenty of things to do, the town is also known as the “Fruit Bowl of the South”, which for backpackers looking to make some quick money, means there are plenty of fruit orchard and vineyard work to scoop up! 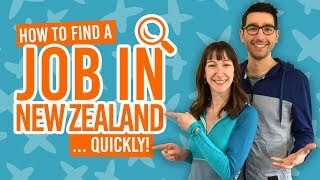 Learn more about working in the horticulture industry in New Zealand here. The popular Cromwell Backpackers is the one and only official backpacker hostel in Cromwell. The backpackers features spacious dorms with no bunks, as well as twin, double, triple and single rooms. By only having 10 beds available, it never feels too crowded, so the hostel is well worth considering if you manage to book your spot. Another accommodation offering backpacker dorms in Cromwell is The Chalets Holiday Park. Choose from powered sites, tent sites, self-contained units, a holiday house, as well as affordable backpacker dorms and single rooms. For backpackers sticking around in Cromwell for work, The Chalets Holiday Park may be able to offer long-term accommodation on request. Plus, you can kick back at the on-site bar. A super affordable camp ground just 10 minutes drive out of Cromwell is the Bannockburn Domain Camp Ground. If you have your own camping gear or campervan, Bannockburn Domain is worth taking note of. There are modern shower blocks and a couple of different communal kitchens to choose from. Plus, it’s in the heart of the Cromwell vineyards and fruit orchards so makes it a popular choice for those doing fruit picking work. Another great budget accommodation option in Cromwell is the Cromwell Top 10 Holiday Park. With powered sites and tent sites, it’s ideal for campers. Those who would prefer a room have a choice of motel units, as well as standard units for under NZ$80. The holiday park also has kitchen, laundry, dining, barbecue, shower blocks and more. 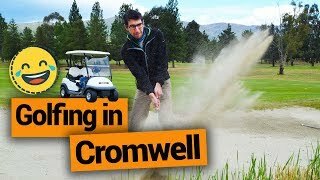 Check Cromwell Top 10 Holiday Park out! If all hope is lost in Cromwell, why not choose a backpackers in the neighbouring town of Alexandra? The Alexandra Backpackers is only a 25-minute drive from Cromwell with all the facilities expected in a hostel. Alexandra is another fantastic location for seasonal work for backpackers, as well as popular bike trails like the Otago Central Rail Trail. For backpacker hostels in Alexandra, check out 5 Best Backpacker Hostels in Alexandra & Clyde.